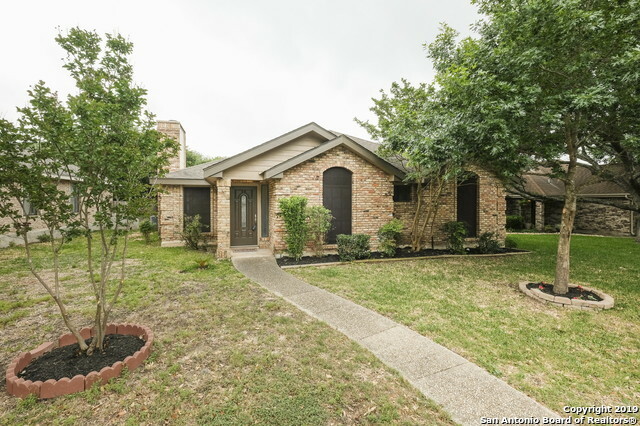 All BLANCO WOODS homes currently listed for sale in San Antonio as of 04/22/2019 are shown below. You can change the search criteria at any time by pressing the 'Change Search' button below. "There are few homes in established neighborhoods south of loop 1604 that don't require serious updating. This exquisite property is freshly remodeled w/ no expense spared. Sits atop almost a 1/4 acre. Home has amazing flow, a huge master and some really classy updates throughout. New paint inside & out, flooring, granite, cabinets, etc. etc.. Painless HOA fees & neighborhood amenities succeed expectations. Tired of sitting in traffic going to & from? Then come check out all this home & location "
"Lovely home on Blanco Woods near booming Stone Oak area. Gorgeous neighborhood with tons of trees. Beautifully landscaped back yard with trellis-covered patio. 2-car garage with alley access. Upgraded stainless steel appliances, granite countertops in kitchen and bathrooms, upgraded light fixtures and plumbing fixtures. Home is in great shape; paint, landscaping, laminate floors, kitchen ceiling/lighting all re-done in April. Home is getting a new roof this coming week." "MEGA OPEN HOUSE: Sat:4/13/19 12-4pm. Wonderfully maintained, move-in ready 3 bedroom, 2 bathroom home in the Blanco Woods subdivision. Enter into a spacious living room with a lovely fireplace. Continue on into an adjoining dining room near an eat-in kitchen. This home has a convenient rear entry 2 car garage as well as split bedrooms. The community pool and common area are within walking distance!"